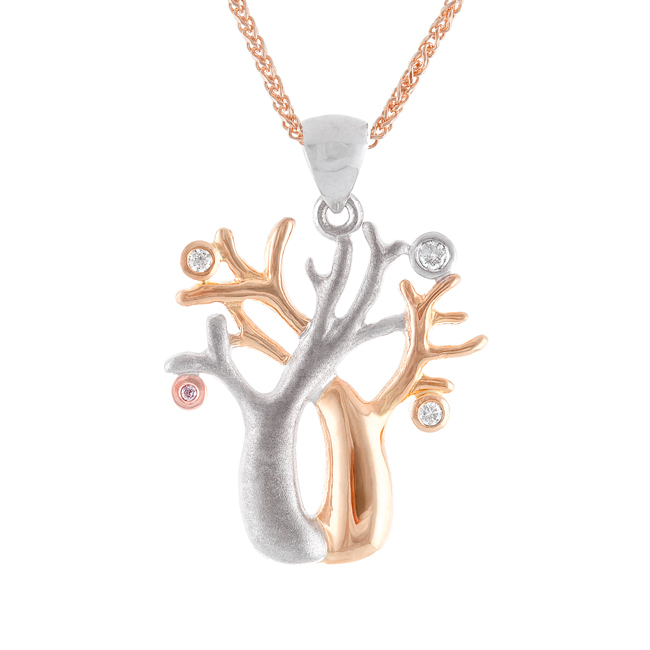 Native to the Kimberley region, this boab design is not only iconic but also features an Argyle Pink Diamond. A modern colour combination for all gold lovers. 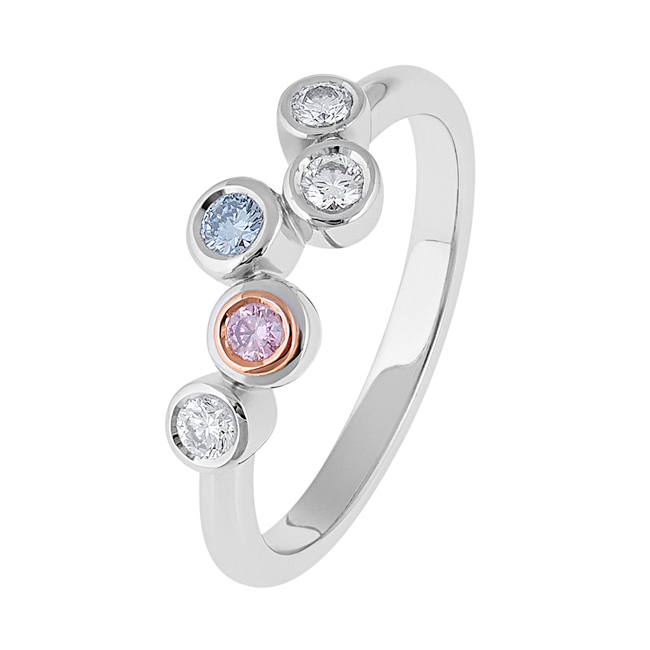 This two tone piece is a staple for your jewellery collection.